Image: Squires, a terrace of Edwardian cottages and one of several in Wye that Imperial College, the previous owners left empty for years. "...Rural local needs homes are those provided by a Registered Provider of Social Housing (RPSH) also known as a Housing Association, to enable local people to remain in the village where they live or work and not be forced to move away because of high house prices and high rents. These homes remain available for people with local connections in perpetuity..."
"...The Wye 2030 Neighbourhood Plan household survey in July 2012 identified the level of local support for the principle of affordable housing. The responses showed that 75.3% of households considered that it was 'very important' (43.9%) or 'important' (31.4%) to provide affordable housing. Whereas 7% of respondents considered the issue to be 'unimportant', and 4.3% 'very unimportant' and the remaining 13.5% were neutral. Of the 795 households who returned the survey, 773 answered this question. Over 76% of all occupied households responded to the survey. High property prices and a predominance of privately owned homes means that some local people are unable to afford a home within the parish. This problem is exacerbated at present as tighter restrictions are being placed on mortgages by lenders; the result of the current economic climate. For a first time buyer an income of approximately £34,000 per annum and a deposit of £21,000 is needed to buy the cheapest property available within the parish, which, at the time of writing the report, was a 1 bedroom cottage for £140,000. To be able to afford to rent privately an income of approximately £26,400 is required to rent a 1 bedroom stable conversion for £550 per calendar month. • A total of 50 adults and 33 children have a housing need. • 15 (54%) of those in housing need were families. 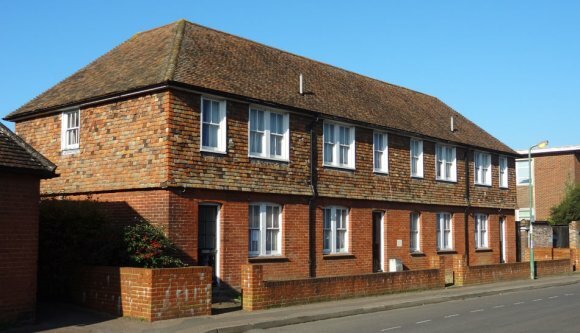 • In total 24 respondents with a housing need currently live in Wye with Hinxhill Parish and four more live outside the parish, but they all have at least one local connection. Action with Communities in Rural Kent prepared the report on behalf of Ashford Borough Council and Wye with Hinxhill Parish Council. The absence of sufficient affordable homes in our rural communities is not a new problem - in fact it is a problem that has got worse in recent years. High property values, increased aspirations to live in the countryside and limited development of new homes have all had an impact, resulting in many local households now being unable to afford to remain within the rural community where they have grown up and have support networks. Small scale affordable rural housing developments help to rebalance communities, keeping families together whilst providing a boost for local services. Parish and town councils are a driving force for change and a key partner in delivering affordable homes for local people. Please take time to read this practical guide and think about what can be achieved in your own community. Guidance published by Ashford Borough Council for individuals, parish councils and other organisations involved in the provision of local needs housing in rural locations. Rural local needs homes are those provided by a Registered Provider of Social Housing (RPSH) also known as a Housing Association, to enable local people to remain in the village where they live or work, and not be forced to move away because of high house prices and high rents. Crucially, unlike other forms of social housing, which are subject to right to buy, these units remain available in perpetuity to rent by people with local connections.